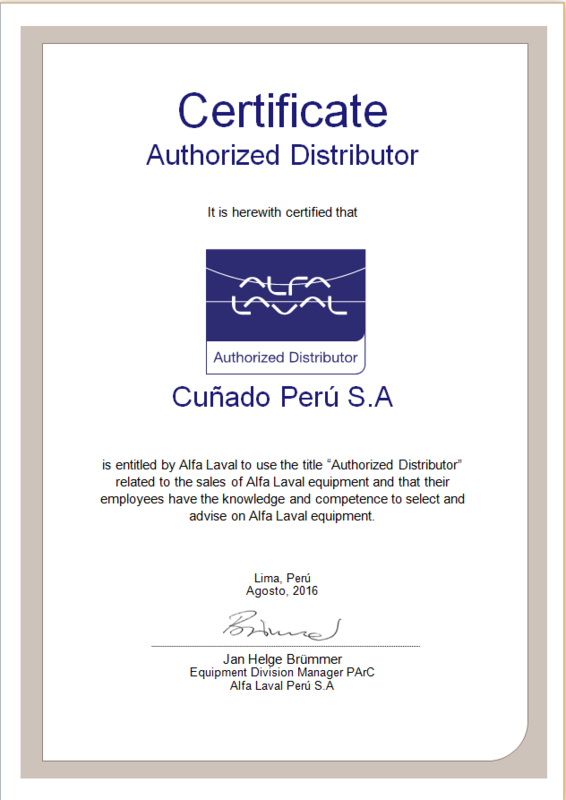 CUÑADO PERU, S.A., the GRUPO CUÑADO branch in Perú, has been appointed as Alfa Laval Authorized Distributor for the industrial markets, including new equipment and Valves and Heat Exchangers spare parts. With this agreement, CUÑADO PERU, S.A. maintains its strategy of growth by expanding the company’s product range, and improving its customer support service. This new success joins to the one achieved last August 2015 by CUÑADO, S.A., when we were appointed as Alfa Laval Master Distributor for Spain and Portugal.